For centuries, the faithful have walked in pilgrimages for religious reasons: for the promise of the forgiveness of sins and to gain a greater closeness to God. One of the most holy places in Europe, one which has attracted pilgrims for more than a millenium, is the professed burial place of Saint James, an apostle of Christ. Many routes lead to his tomb at the cathedral in the city of Santiago de Compostela, but the most famous and the most traveled of these is the French Way. Beginning in St. Jean Pied de Port in France just east of the Pyrenees, it progresses east to west across the northern part of Spain to the great cathedral in Santiago. Some pilgrims continue to the “end of the earth,” Finisterre, on the Atlantic Ocean. In ancient times, these pilgrims brought back a scallop shell to prove that they had indeed made the trek to the Atlantic. 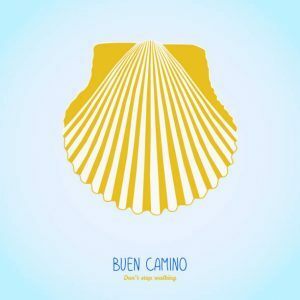 Now the scallop shell is the symbol of the Camino, evident in the way markers along the route and in the shells hanging from the backpacks of pilgrims. According to one tradition, several years after Christ’s crucifixion, Saint James sailed to Galicia in Spain to preach the gospel of Christ. He chose Spain, presumably, because Finisterre was an important Druidic religious site. Other accounts contradict this theory and say that James died in Jerusalem and was transported to northern Spain to be buried. In 813, a Spanish shepherd named Pelayo claimed to have found the burial place of James by following a “field of stars,” a compostela, the Milky Way. The Bishop of Iria confirmed that the bones were indeed those of the saint, and a shrine was built on the site, now the location of the Cathedral of Santiago de Compostela. In the 12th to 14th centuries, Christian pilgrims no longer could safely make pilgrimages as they had for years to the Holy Lands, so the Camino de Santiago served as a safer and more readily available route. The writings of the French priest Aymeric Picaud made the route even more popular. Picaud’s Codex Calixtinus is said to be the first travel journal and guide. 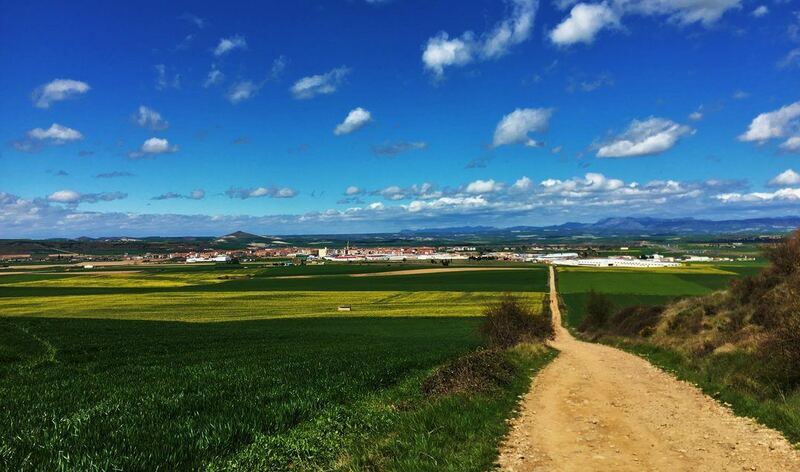 In recent decades, the Camino has had a great resurgence in popularity with thousands of hikers making the journey and staying in albergues and hostels along the route. Why do so many modern-day pilgrims walk this route? Some people do it for adventure or for the physical challenge, but many make the journey for spiritual or religious reasons. Why are Judi and I attempting it? Now retired, we’re eager for new experiences, the chance to face a daunting physical challenge together, and for a renewed connection to our faith.